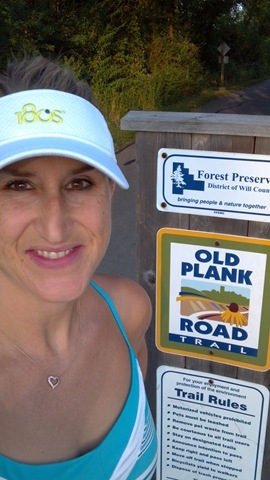 This entry was posted in Giveaways, Product Reviews and tagged 180s Quantum Cooling, 180s Quantum Cooling headband, 180s.com, cooling visor, Quantum Cool Training Visor, ways to stay cool while running by tootallfritz. Bookmark the permalink. Went over to their FB page. Let them know you sent me. I’ve looked at their stuff before, but like you, I’m a hat person. I’d be willing to try a visor because of your review. Thanks! Liked on facebook. This might be interesting to try, even though I am a hat person as well. I liked their page & I LOVE visors!! Especially one that will cool me off!! I liked the page and thank you for this post, I have looked at them online and never thought they could actually help so to hear someone tell it like it is was great! 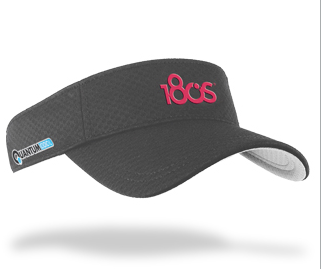 Funny I always thought visors were dorky but then I started on my tri kick and visors are my thing–hats make my head hot! This looks interesting I liked them on FB–thanks for the post! Triathletes love visors! 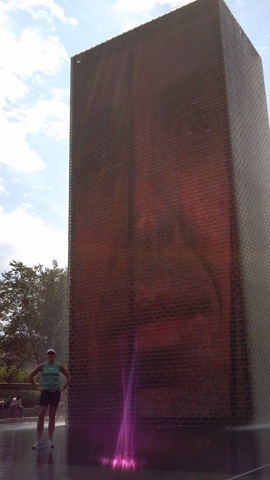 I’ll be taking this one to Great Illini with me on Saturday. I liked them on Facebook! 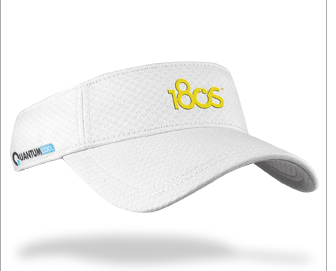 I usually prefer hats to visors but with the cooling system, I could definitely do a visor for these brutal summers! I liked them on facebook & left a comment to let them know you sent me!! Thx Amanda! I likes them on FB. Love this idea! I don’t sweat much so I overheat very easily. Same boat….very little sweat, so I just get hotter & hotter! Liked on facebook….I don’t love hot weather running, so anything to keep me cool I am onboard with!! Same here. It is hard for me out there in the heat! This looks awesome for running AND for football games! I liked them, and if you endorse it I REALLY like them! I liked them on facebook. These sound really cool! 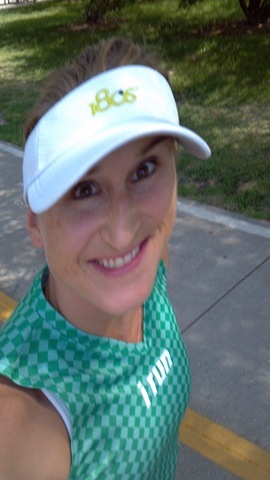 I’ve been a headsweats hat gal, but have been wanting to try a visor instead. Liked them on FB and may have to pick one of these up either way! Im new to visors, the fabulous Miss Healy treated me to a Rock n Roll Half one from the kind race entry you gave her and I cannot get it through the wash quick enough. I wear it constantly! I have liked !!!!! I liked them on Facebook! That visor sounds really awesome! I’ve liked them on facebook! Would love to have one of those.. ! I Liked their FB page! I didn’t know something like this existed!! lol! I am praying for cool weather for my race next week, but if its hot I could sure use this!! OH my gosh! This sounds amazing! I just had a major migraine last night from the heat. I liked the FB page and will probably start stalking them 🙂 Yes, it has been TOO hot this summer! I put a link in the “winners” post that has an email sign up too. I think that may be how I won my visor. Try that too! Or use the TOOTALL coupon code! Don’t know if I’m too late, but I just liked them on FB. Thanks for the heads up! I liked their facebook page as well. I’m more of a hat person too but would be willing to try a visor because of your review on them.